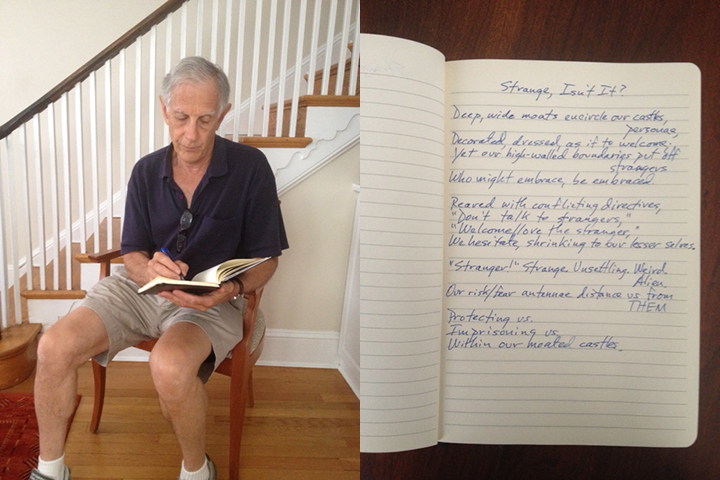 My Digital Tether: Stephen P. Sometimes Better Poems are Made: Phil T.
Ralph was my vacationing neighbor for a week. A stranger but not a stranger. I connected with him and his family immediately. He discovered the poetry project. I asked him to write. He is a lawyer and an advocate for non-profits in the fields of mental health and wounded veterans. And he is a poet. We hesitate, shrinking to our lesser selves. “Stranger!” Strange. Unsettling. Weird. Alien. Read a poem by Stephen P.